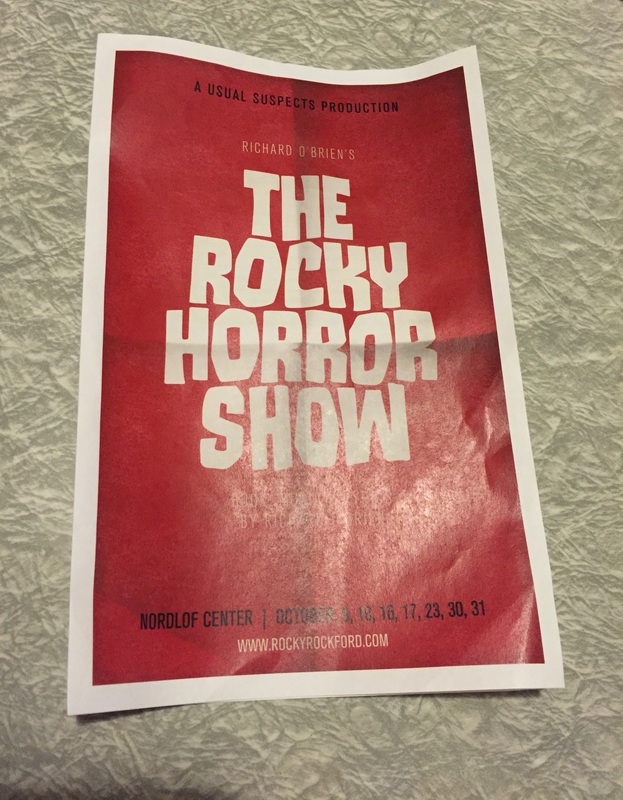 I&apos;m a recent convert to the phenomenon that is the “Rocky Horror Picture Show,” but I certainly anticipated seeing the live version of the cult-classic this past weekend at the Nordlof Center in downtown Rockford. 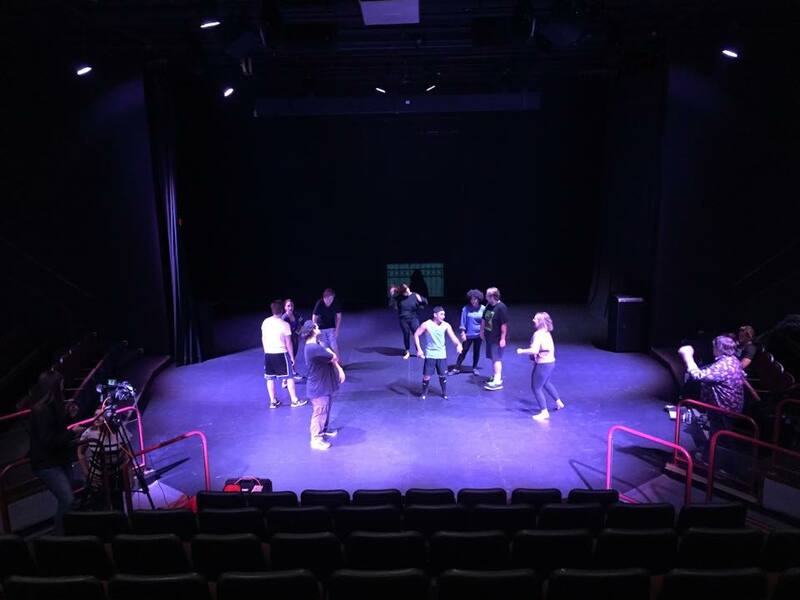 A new theater group called Usual Suspects is performing the hit production throughout October, and this year coincides with the 40th anniversary release of the campy film starring Tim Curry, Susan Sarandon, Barry Bostwick and Meat Loaf. The film is based on the 1973 musical stage production about an engaged couple who happens upon an alien transvestite’s castle one rainy night. But first, a little background. The film was released in 1975 to little fanfare but grew in popularity when a theater in New York City started hosting midnight showings where people dressed up and talked back to the screen. To say the film has a cult following is an understatement. There’s a national fan club and conventions in its honor, and showings of the film and live stage productions ramp up the closer we get to Halloween. I saw the movie for the first time just a few years ago at Rockford College and then played catch-up to learn about the music and the characters when I dressed up for a “Rocky”-themed roller derby bout in 2012. 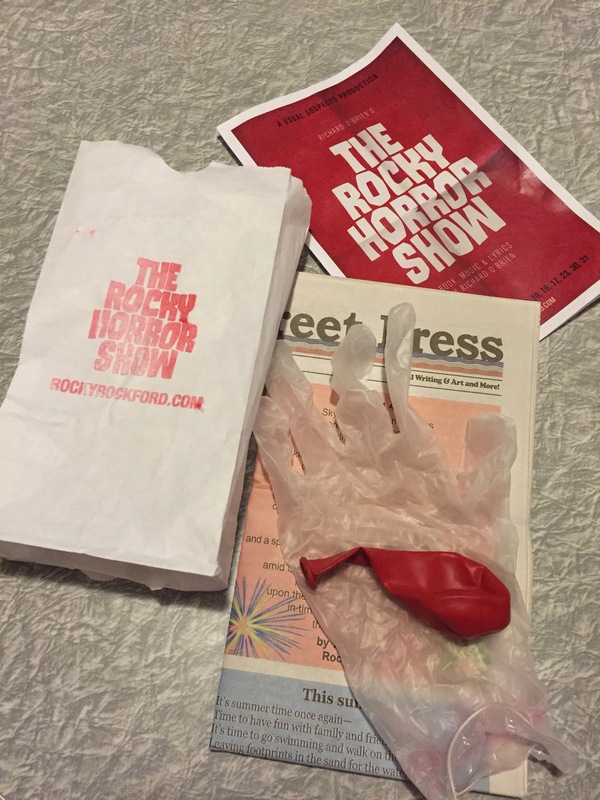 Audience members receive a "Rocky" program when they arrive at the show. So I was excited when a group of friends wanted to get tickets for the local production. We gathered before the midnight show to finish our makeup and last-minute costume changes. We arrived at the Nordlof Center, 118 N. Main St., a little early and decided to pop over to Octane Interlounge for a pre-show drink. Octane has awesome “Rocky”-themed cocktails and food that celebrate the show. I chatted with Octane owner Dan Minick at the bar just long enough to hear his positive review of the show. I think our group pulled off our costumes pretty well because some passersby came into the restaurant to have photos taken with us. Back over at the Nordlof Center, the Suspects did not disappoint. They performed the full live version of the stage production with all of fabulously catchy tunes (hello “Time Warp”) and lots of unique touches for costumes and set design. Kudos to cast member and art director Jason Edlen (who plays Eddie) for the cool way he incorporated slide projection into the show. I won’t give away too many details. To learn a little bit more about the project, I chatted with Christine Edlen-Korneski, a founding Usual Suspects member who plays Columbia in the show (and sister to Jason). She said the group is a mish-mash of local performers who’ve all worked together in some capacity – on stage, backstage, front of the house – through the years as part of the local theater scene. Edlen-Korneski said the show’s response in the first few weeks has been fantastic, despite the production being a risqué debut. 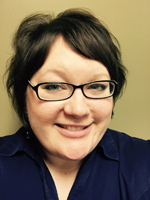 “We have a fantastic, wonderful theater community in Rockford,” she said. “There are great groups that are established, and they have their niches. We’re just a little bit outside of the box, and choosing ‘Rocky’ was a good way to open with a bang. We all feel adventurous, and as a group, that’s what we want to represent. As an audience member, you can tell that “Rocky” is quite the undertaking for the Suspects. Edlen-Korneski said the group has been planning the show since January and has been in rehearsals since August. All of the performers have jobs and families outside of the show, so “Rocky” is their part-time gig. 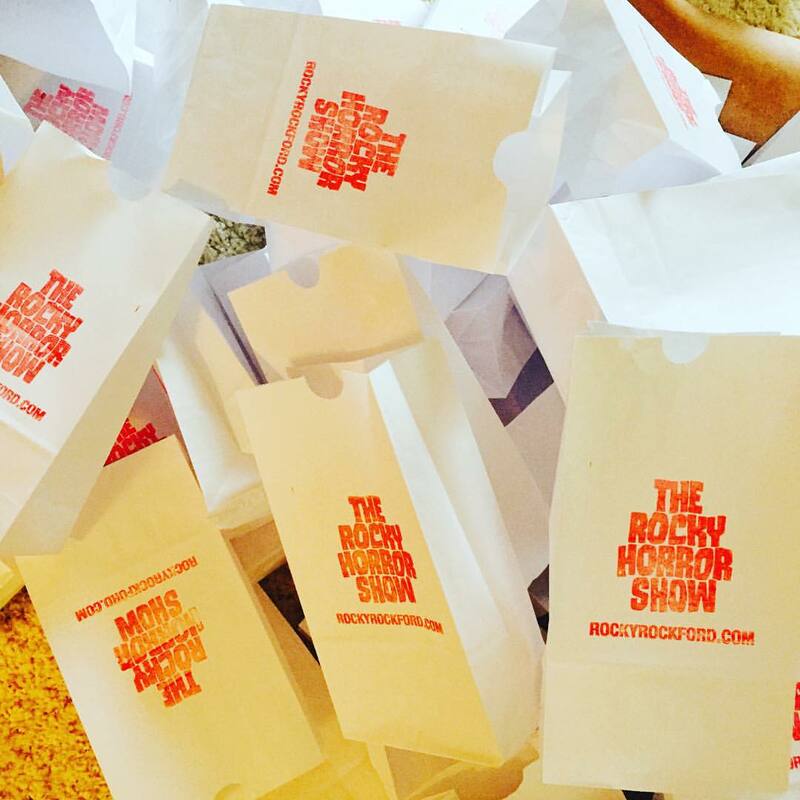 “Rocky” has just a few shows remaining in October. There are still tickets available for the midnight show today (Friday, Oct. 23), as well as the midnight shows on Oct. 30 and Oct. 31. Find “RockyRockford” on Facebook for more information, or visit rockyrockford.com to buy tickets. Tickets are $10 plus processing fees, but if you buy tickets in advance, you get $2 discounts on prop bags sold in the theater lobby the night of the show. Kryptonite Bar is doing the bartending in the lobby, as well. Expect to hear more from Usual Suspects once they’ve recovered from the hectic “Rocky Horror” schedule. Edlen-Korneski said the group is in talks to do the production again next October, as well as other shows. Prop bags are an additional cost but totally worth it. Pictured here are a few items that made it home from the theater. “Rocky” is fantastic and weird, the music is great and the crowd interaction alone is worth attending. As another friend pointed out in a review of the show on Facebook, you can see amazing, local talent for less than the price of a movie (although the $5 prop bag is totally worth it). So throw on a costume, put your hands on your hips and support Usual Suspects.